April Dinwoodie is a nationally recognized leader on adoption and foster care. As a transracially adopted person, she has lived a life where it was imperative she learn how to gracefully and effectively navigate complex circumstances and situations that many can’t imagine or maybe even recognize. A part of April’s personal mission is to address how differ-ences of race, class, and culture impact adoption and foster care systematically and individually. Inspired by her personal narrative, April’s keynote presentation, Born in June, Raised in April: What Adoption Can Teach the World, will weave together her personal and professional experiences, sharing her journey of adoption with the calendar as a backdrop. Participants will be guided through each month to explore how holidays, special days and transitions can be challenges and opportunities to understand ourselves and how our roles as members of the extended family of adoption can affect those around us. She will discuss; birthdays, Mother's/Father's Day and Thanksgiving, etc., as well as meaningful life-transitions like back-to-school, changing schools, transitions to college, and changing jobs. This Keynote address will set the tone for the weekend as April gives parents some things to think about as they move through the conference. Ryan & Kayla North, have 6 children, 4 who were adopted from foster care. They spent 10 years as foster parents with over 30 placements and learned many of the things that they share with families in the trenches. The Norths are co-founders of One Big Happy Home and are considered experts on childhood trauma and its impact on families. They are both TBRI Practitioners and speak nationwide to bring hope and healing to adoptive and foster parents, children, and their families. The Norths have developed trainings for parents educating them on trauma, its impact, and how it informs behavior. In their keynote presentation, When Two Worlds Collide they will address how conflict in relationships often arises when one person’s history intersects with another person’s history. Parenting is no different. 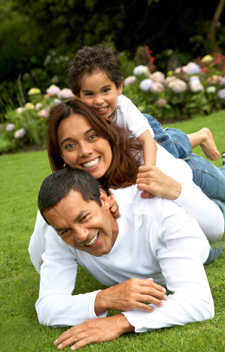 Some of the toughest moments in parenting occur when a child’s history and beliefs collide with their parents history, motivations, and expectations. 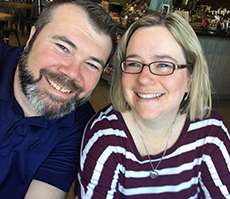 Ryan and Kayla will assist parents in trying to understand the impact of their child’s traumatic histories and how compassion and empathy should be the appropriate responses to their expressed needs. In addition, they will walk attendees through how their own histories and experiences inform how they respond to their children. Our individual histories (both ours and our children’s) inform where we are, but does not have to determine where our story as a family develops together. We have many excellent speakers in our program this year. Please link to our Conference Workshops in order to evaluate our speakers. This year, we welcome, Johnelle Simpson, an inspiring speaker who uses his personal story to showcase how passion and hard work can really pay off. 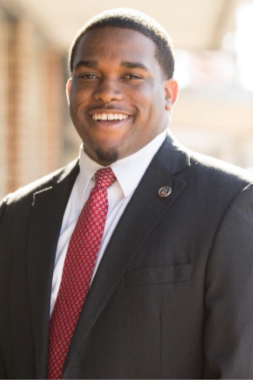 For Johnelle, “Every no in his life led to a new opportunity.” He believes that sometimes adversity and life’s unfortunate events can be used as fuel to learn how to lead others and embrace success. The stories and anecdotes Johnelle shares will take teens on a journey that will motivate them to be the powerful leaders of tomorrow. We are also pleased to have youth speaker, Sarah Leeper, who has uncovered what she thinks is the greatest-kept secret of her generation: we are all hiding something. In a time where young adults are allowed to craft their most presentable public image, sometimes we fail to bring to light the unpresentable: fear, hardships, and challenges. Today’s young adults absorb messages of being the best, being fearless and unstoppable from all directions, pushing them further into hidden isolation and the continued creation of a more idealistic persona. But what if these young adults heard a new message? What if instead of being told to be the best, they were told to be real, flawed, different? 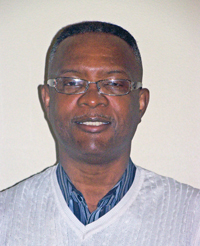 In addition, anger management expert, Gary Byrd, will share information on Choice-based Anger Control, which is designed to empower teens to take control of their lives by developing strategies and techniques to calm the anger within. This is based on a simple philosophy: “Our lives are the sum total of our choices and actions.” Each of us is ultimately responsible for choosing the direction, meaning, and purpose for our lives. Join us on Friday, May 17th at 7:00 pm in the Grand Ballroom for the Ties That Bind Kick-Off event. This will be a great time for families to “power up” and be entertained. Sean Driscoll, creator of The Story Ship Company has thrilled audiences with educational workshops and performances of interactive animation, music, storytelling, theater, comedy and magic for thirty years reaching tens of thousands of children and adults each year. 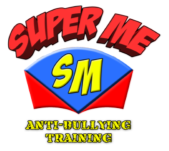 The Super Me Anti-Bullying Training show is a fast paced theatrical adventure that combines high-energy hip-hop dance, intense video gaming, astounding magic, interactive animation and a live actor. We will be taken on a virtual journey into a comic book world to help a young boy escape from bullies. Amazing animated and real life videos are projected onto a large screen during the performance allowing audience members to interact with the characters. We will not only see real life examples of bullying, but we will be given our “super powers” and clear step by step actions to help stop bullying. Refreshments will be served after the show. After an inspiring day of learning and networking on Saturday, May 18th participants will definitely want to attend our Fami-ly Night Celebration for all ages! Your “spidey senses” will be tingling as we come together for the Super Hero event of the year! Adoptive & Foster Families...Super Heroes Creating A United Force! So grab your cape, throw on your mask, and feel the power! Following dinner you won’t want to miss a very special Super Hero Show and learn what being a true HERO is all about. Get ready to have a “Marvel-ous” time with other fantastic families as we “join forces” for a night of family fun!